Our love of coin jewelry extends into the ancient past. 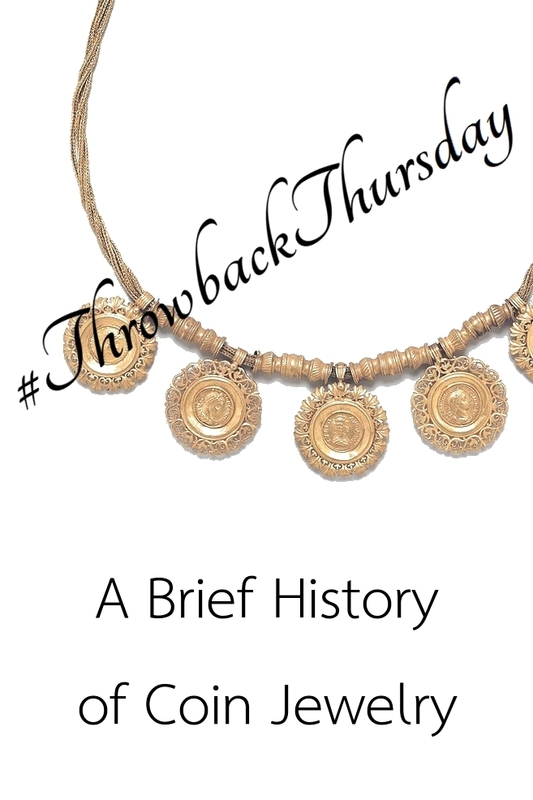 Time travel with me as we explore a brief history of coin jewelry. We start our tour of history in Egypt during the early third century. Check out this adjustable ancient Egyptian coin pendant necklace from 225 CE, now part of the MET museum’s collection in NYC. 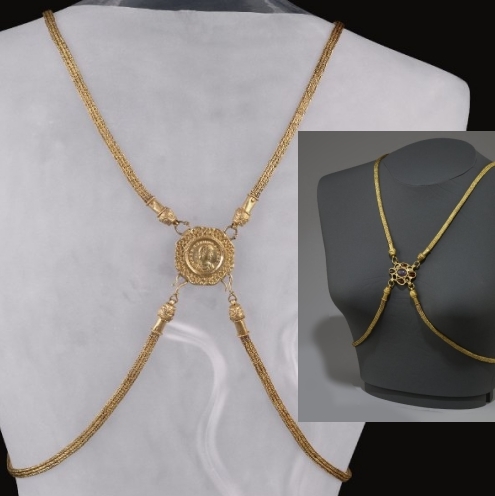 The necklace is 91cm (almost a yard) long, making it a glamorous rope length necklace, but those gold beads at the top of the necklace make the item adjustable. The wearer puts on the necklace and then gently pulls the beads away from each other, thereby doubling the chain. At its shortest, the necklace becomes a matinée length necklace between 50-61cm (20 -24 inches). If we time travel to the late 4th century we can study Roman/English coin jewelry. The following item is part of the Romono-British collection at the British Museum in London. The body chain is 84cm (33 inches) long and slightly adjustable. Made to fit over the wearer’s dress, creating an ‘x’ across the chest and across the upper back. 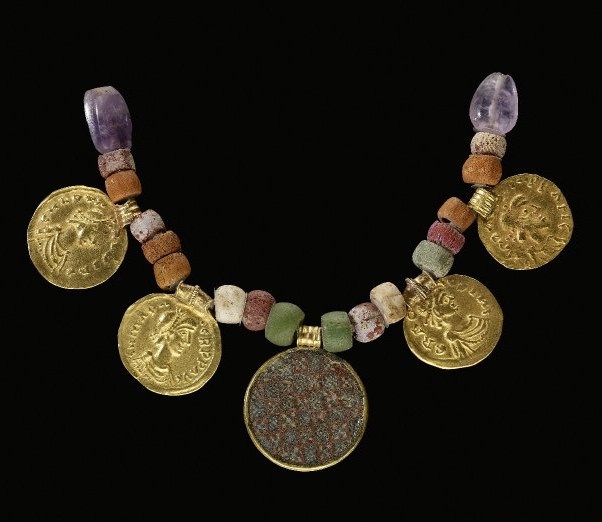 The coin is about as old as the Egyptian piece above, so it was approximately 100 years old when it was set as the centerpiece in this English body chain. Fast forward to the Middle Ages, in the early 7th century and we can see some examples of Anglo-Saxon beaded and coin jewelry. This is only a portion of a necklace residing at the British Museum in London in the Merovingian; Early Anglo-Saxon collection. Minted in or before 615 CE, the coins help archaeologists determine the necklace’s age. The beads are amethyst and glass. The center disk is also glass, in an Italian style. The woman buried in this necklace was quite wealthy to have afforded jewels such as these. The next item on our list is not strictly coin jewelry. 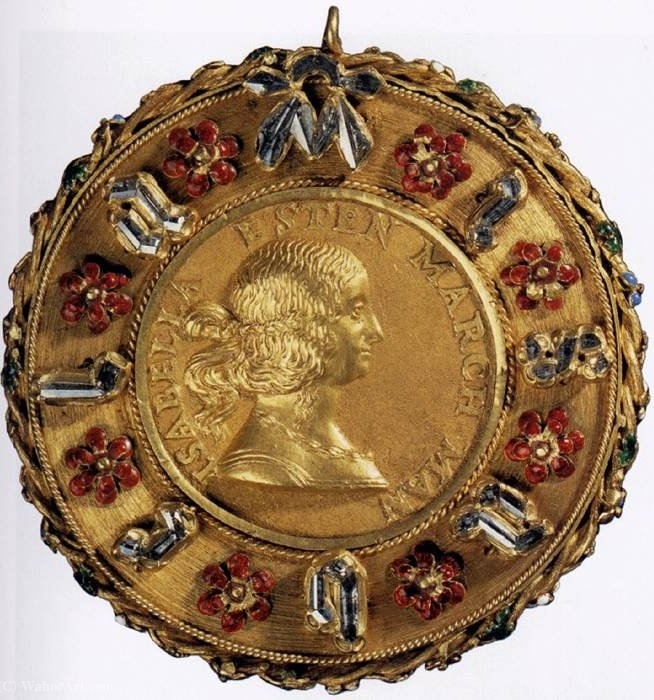 It is a jewel encrusted frame for a gold bust of Isabella d’Este — in other words, it is a pendant. The bust is very similar to the busts on ancient and modern coins but it is not currency. Instead, it was a commissioned portrait. The portrait medal is at the Kunsthistorisches Museum in Vienna. Commissioned in the late 1490’s in Mantua, Austria, this portrait counts as a Renaissance work of art. Time travel half way around the world and almost 500 years into the future to the modern era. Our first stop is in 1977 in the USA. 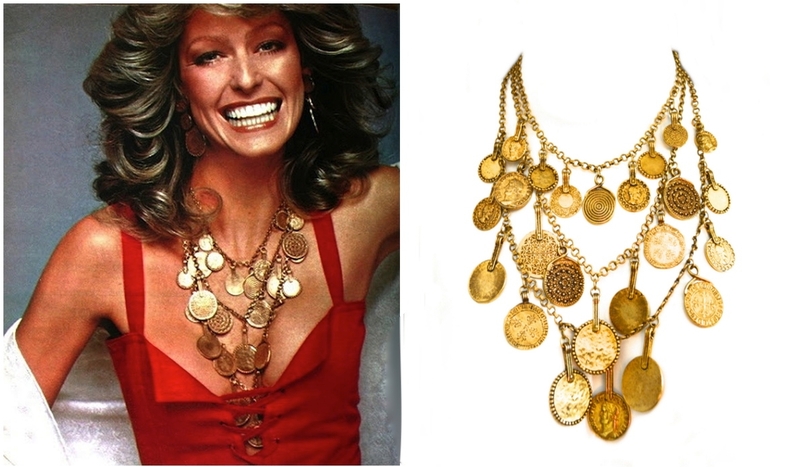 Vogue magazine features Farrah Fawcett in a YSL Gypsy coin necklace and red corset closure tank top with a white shawl. 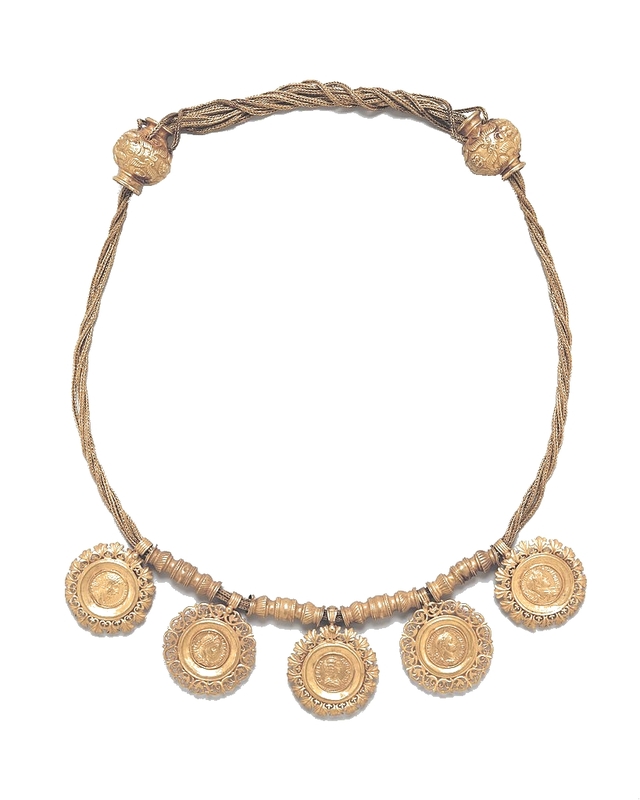 Like the Renaissance work of art, this is not strictly a coin necklace, but influence of coin necklaces from the past are evident in the layering of circular and barely oblong disks embellished with abstract designs. A short jump of only 15 years into the future, and back to Italy. 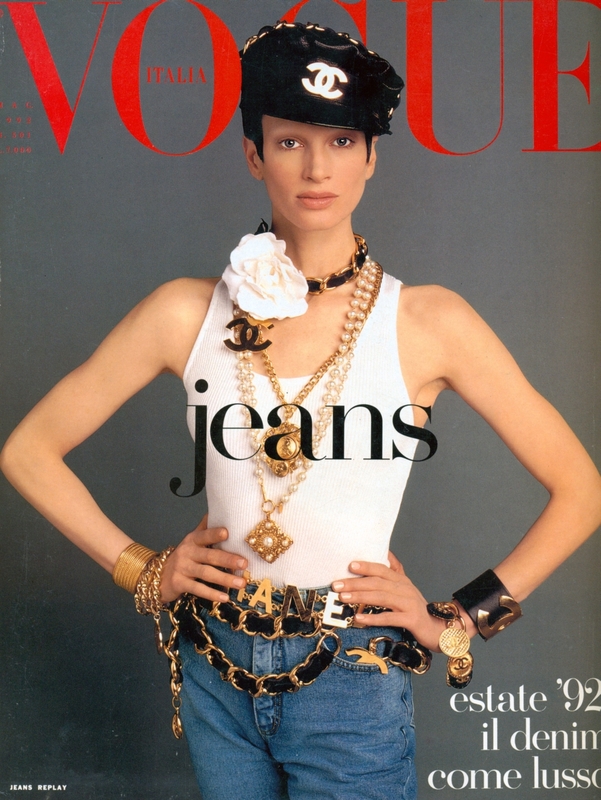 Vogue Italy ran with another very-coin-pendant-looking piece of jewelry, modeled by Kristen McMenamy in her first cover, on the May 1992 issue. The gold Coco Chanel bracelet on McMenamy’s left wrist is a larger-than-life 1992 marriage of ancient coin jewelry and the charm bracelet, which was experiencing a resurgence in popularity at the time. Also the gold medallion framed, and partially covered by the “a,” is a similarly over-the-top take on the portrait medals from the Renaissance which we already discussed. Our last time jump takes us almost to the present, and up to the term #throwbackthursday. 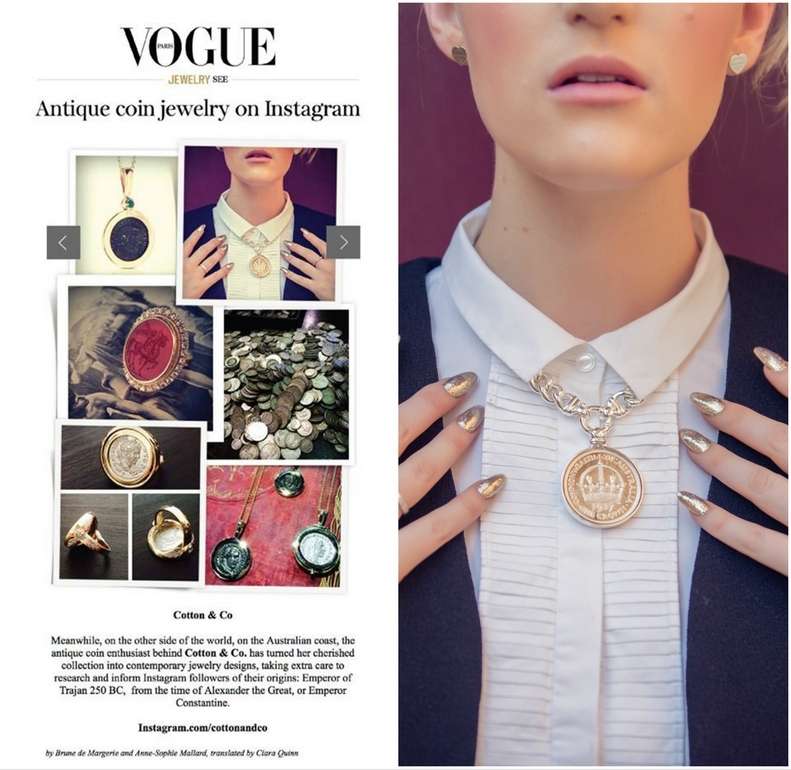 Vogue Paris featured distinct Instagram accounts all of whom, featured coin jewelry, in January, 2015. Most of these images show ancient coins in modern settings, fitting as a close to our time-traveling history of coin jewelry. Today, the crisp new chains and bezels hold our past and elevate currency into art. 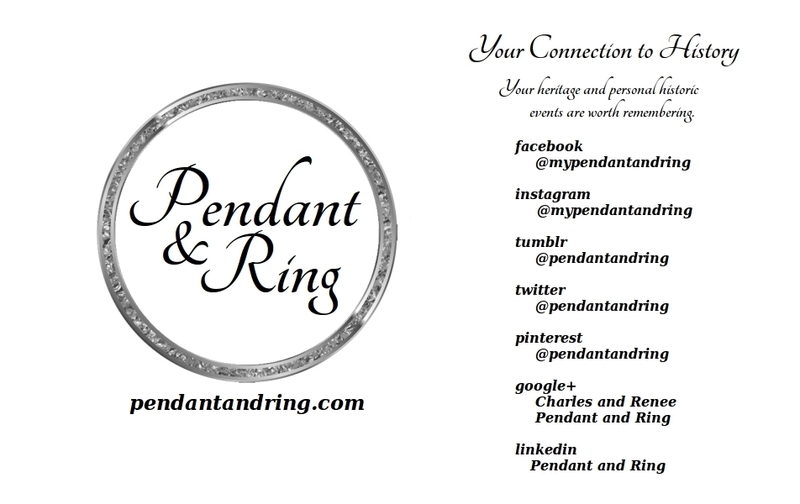 Pin it for later and follow us on Pinterest! Thanks for sticking with us to the end, talk to you again on Tuesday!